Novelty knits featured heavily in Spring/Summer catwalk shows such as Giles Deacon; and on celebrities such as Karen Gillan, who has been spotted wearing her own novelty knit find. 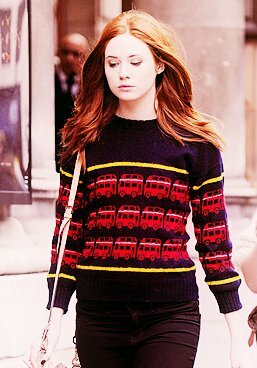 Now, cute printed cardigans and jumpers have appeared all over the high street ready for the new season. We love the novelty knitwear available at Marks & Spencer in their Per Una range. They are so gorgeous that we want them all! 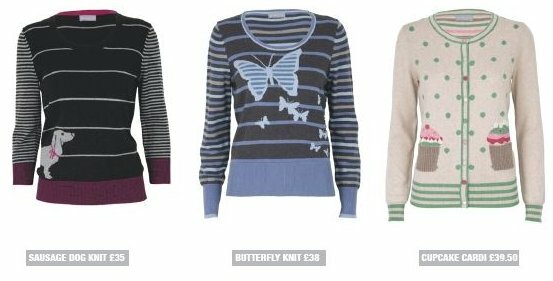 They are available at www.marksandspencer.com. 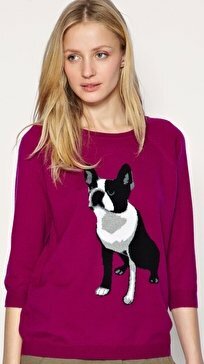 Whistles also features a pink dog print jumper that will make everyone you meet say 'aww'. It's available for £95 from www.asos.com. 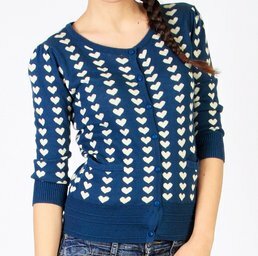 We are also loving this eye-catching heart print cardigan from MaxC London. Get it for £20 at www.maxclondon.com.